Mumbai, Maharashtra, India: VIP Industries Ltd. has elevated Sudip Ghose, as CEO with immediate effect. In his new role, Sudip would be responsible for the day-to-day operations and will continue to be directly involved in the management of the company’s business. 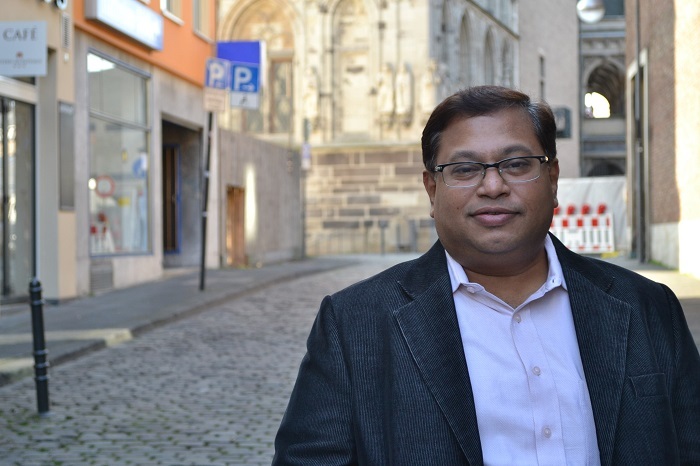 Sudip has over two decades of experience in Sales and Marketing, with expertise spanning strategic planning, integrated brand marketing, consumer behavior and insights. In his earlier role at VIP Industries, Mr. Ghose served as Vice President Sales and Marketing and has been with the company since April 2013. Prior to joining VIP, he worked with Samsonite Pvt. Ltd as the Executive Director Marketing- South Asia where he played a pivotal role in successfully creating the brands of American Tourister and Lavie in India. In the past, he has worked at top positions for Onida, Whirlpool India, Reliance and Bausch & Lomb. Mr. Ghose holds an MBA degree from Narsee Monjee Institute of Management Studies in Mumbai, and has attended Clarion College of Communications for his Post Graduate Diploma studies. Established in 1971, VIP Industries Ltd. is Asia's No. 1 luggage manufacturer. Its four factories produce nearly five million pieces a year, making it the second largest producer of luggage in the world. The state-of-the-art VIP Design Lab at Nasik has to be credit several international patents and design registrations. Since inception, the company has kept in step with the changing need and taste of the discerning and quality conscious traveler. VIP Industries Ltd. already has a global footprint with its products available not just across India but also all over Middle East, the UK, USA, Germany, Spain, Italy and select African and South East Asian countries. The company offers its products primarily under the brands of VIP, Carlton, Skybags, Caprese, Alfa and Aristocrat. VIP Industries Ltd. has elevated Sudip Ghose, as CEO with immediate effect. In his new role, Sudip would be responsible for the day-to-day operations and will continue to be directly involved in the management of the company’s business.